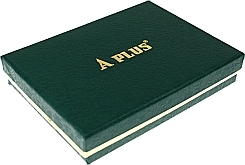 American Gaming Supply is the sole distributor of A-Plus Plastic Playing Cards in Southern California. These are the same cards used by several California card rooms such as Commerce Casino and Morongo Casino, and are also a favorite among dealers or dealer trainees. Made of 100% PVC Plastic. Choose below for your choice of Bridge Size playing cards, Poker Size playing cards or the latest addition, the Turbo playing cards.